G20 meeting filled with hope and cold reality alike. 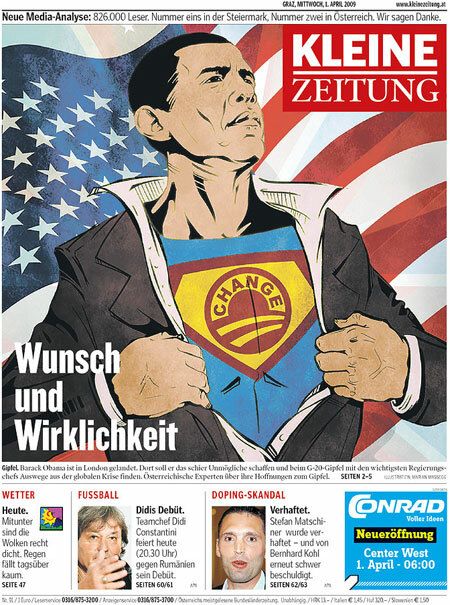 Above: Kleine Zeitung, from Graz, Austria. Images via Newseum. 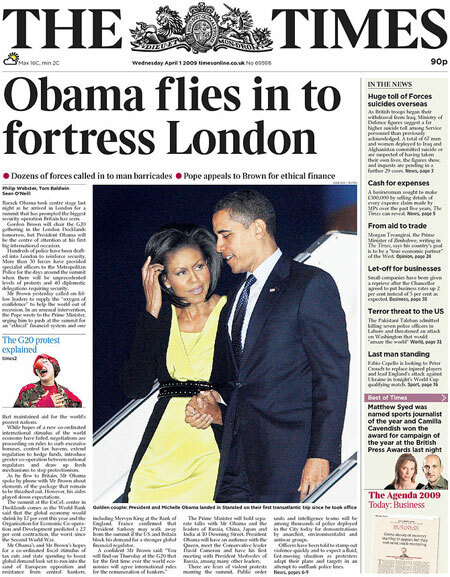 Above: The Times, from London, UK. Previous: Adieux, adieux… to you, and you, and you? Obama in London: G20 meeting filled with hope and cold reality alike. This entry was posted by Erik Brandt on Wednesday, April 1st, 2009 at 11:17 AM	and is filed under Aktuell, Education, Geotypografika, Globalization, Graphic Design, International, News Links, Newspaper Front Pages, Typografika, Typography.